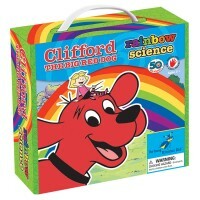 Turn your kitchen into a science lab and get ready to make discoveries with this Clifford Kitchen Science kit for beginners. 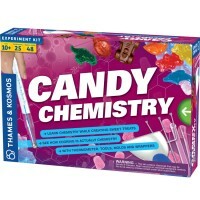 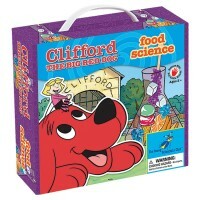 Kids can now take on food science with their favorite big red dog! 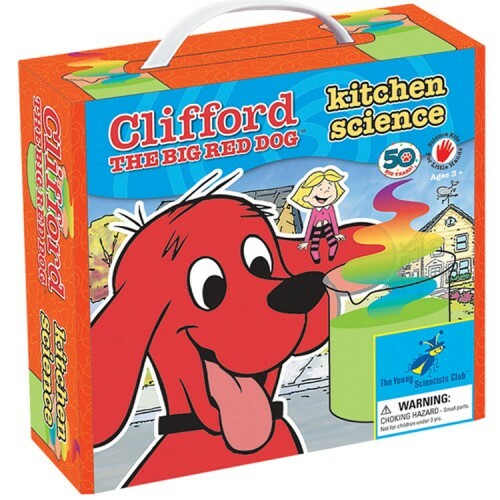 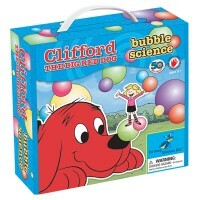 The Kitchen Science Clifford the Big Red Dog Preschool Science Kit by The Young Scientists Club contains a variety of interactive and fun kitchen themed experiments that young scientists can perform. 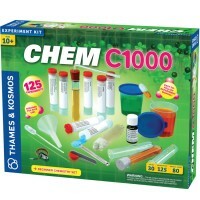 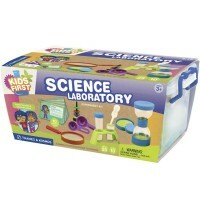 This preschool science learning toy has supplies and materials to experiment and explore. 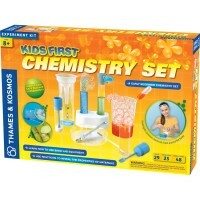 The preschool scientist will love to explode their own mini volcano, create a test tube explosion, make slime, crystal star, magic crystal garden, milk glue, colored celery. 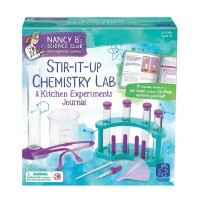 How about something even more exotic like waking up banana eating fungus, observing fungus in a tube, making sticky ice, and more fun kids safe science projects. This kids first science kit contains colorful science lab tray, measuring cup, kids safe test tubes, funnel, and an illustrated 20-page instruction manual with directions on how to perform the kitchen themed labs and tips from kids’ favorite cartoon character - Clifford! 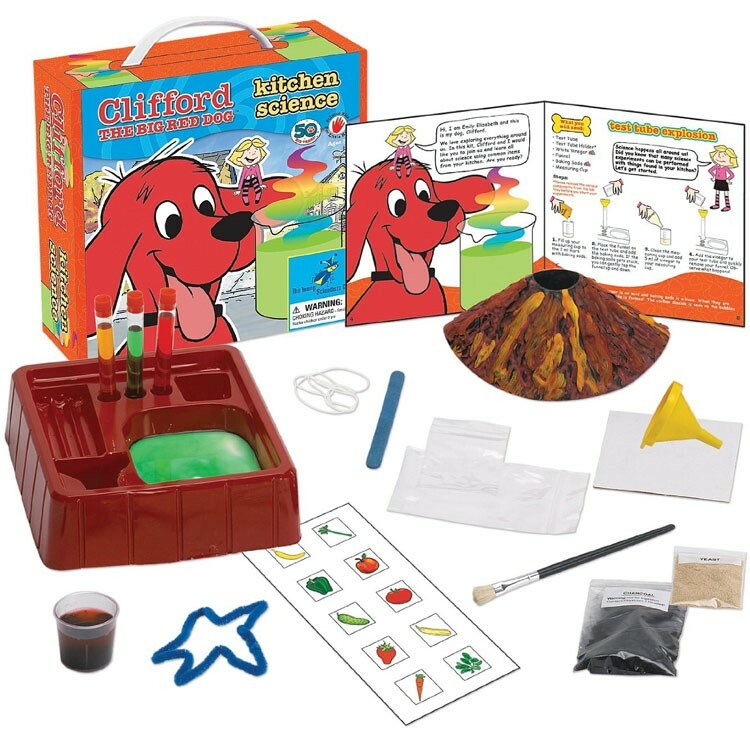 Explore fascinating science topics with the Kitchen Science Clifford the Big Red Dog Preschool Science Kit from Educational Toys Planet! 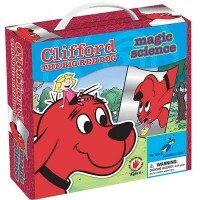 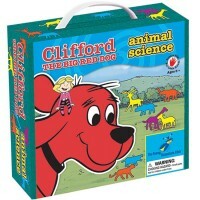 Write your own review of Kitchen Science Clifford the Big Red Dog Preschool Science Kit.